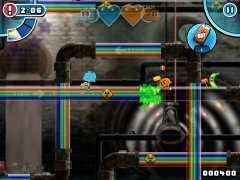 The rainbow has been stolen by Elmore's citizens that have been possessed by the evil Jealousy that has obliged them to take it down to the sewers. 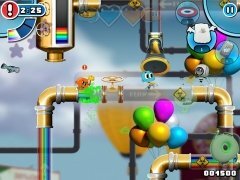 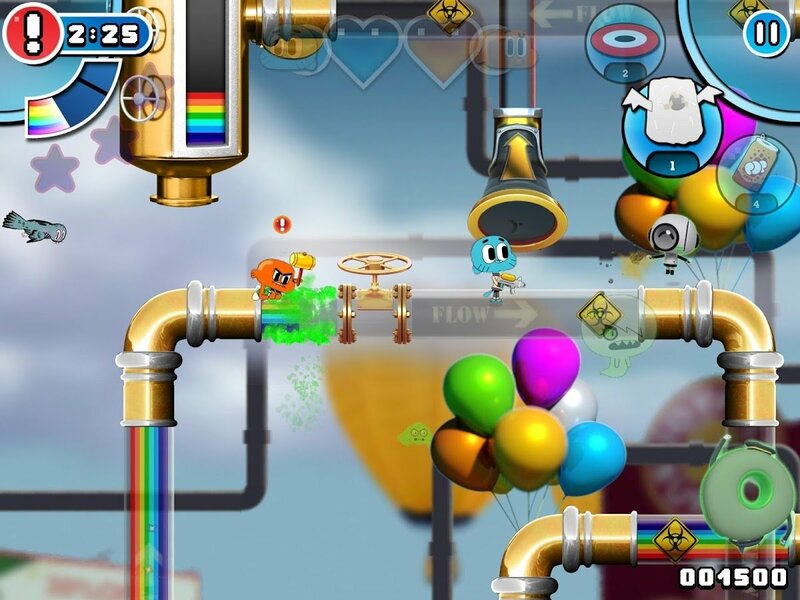 Gumball and Darwin will embark on a crusade to recover it in Gumball Rainbow Ruckus. 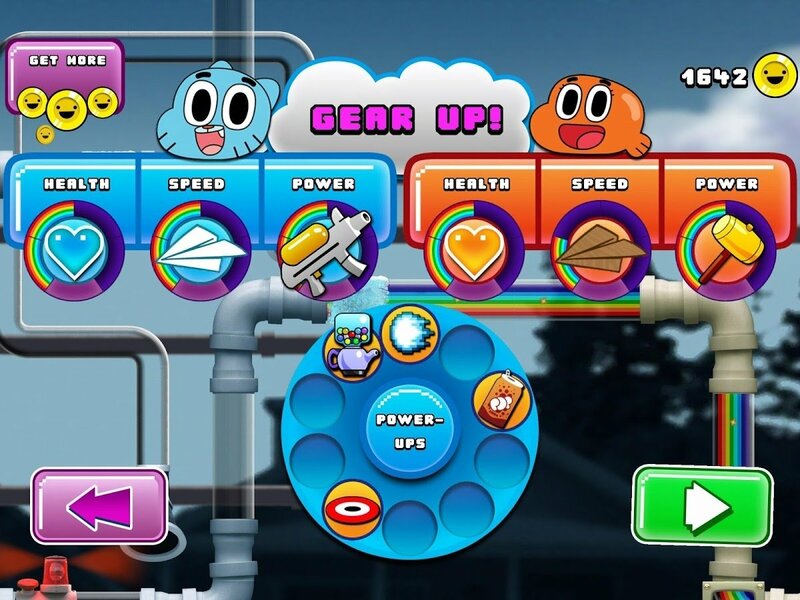 The main characters of The Amazing World of Gumball, the Cartoon Network series, also star in this colorful and frenetic platform arcade game. It's capable of recreating on our phone or tablet this funny and despairing cartoon series. 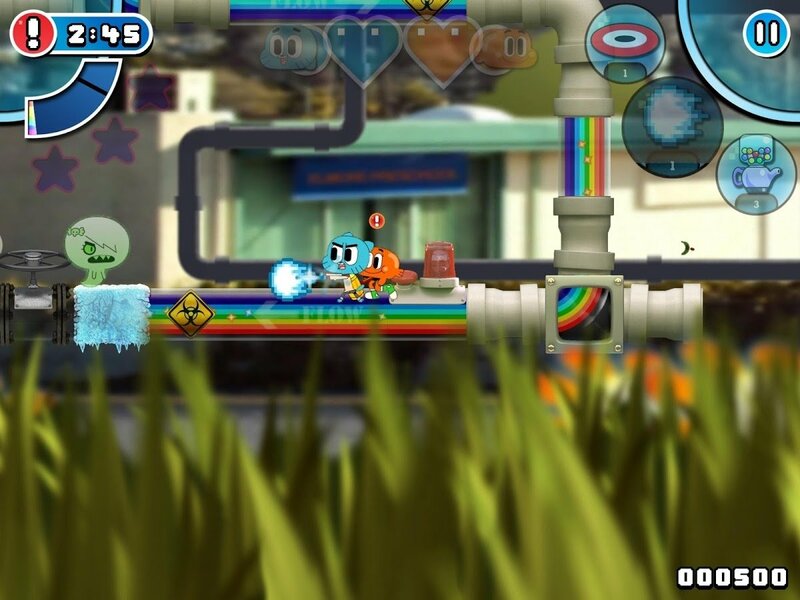 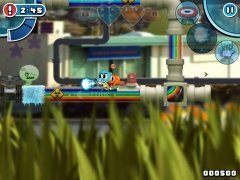 Frenetic action in Gumball's crazy world. 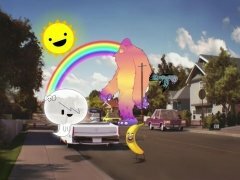 Travel around all Elmore's corners and save it from destruction in a game in which you'll enjoy its graphics that combine real-life environments and cartoons.